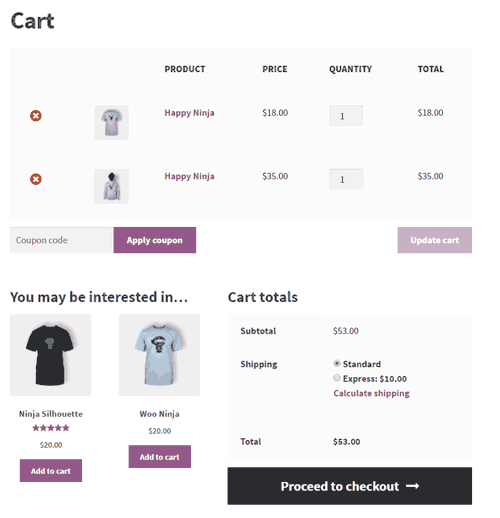 Do you run a WooCommerce retail website on WordPress but need more advanced functions than the basic WooCommerce plugin gives you? If so, then you’ve come to the right place. 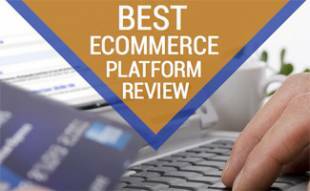 WooCommerce is, hands down, the most popular e-commerce plugin for WordPress sites. There are thousands of free and premium extensions available to enhance its basic functions. In choosing our best WooCommerce plugins, we focused on several factors, including ease of use, design and coding quality, advanced features you won’t find with free plugins, customer reviews, tech support, pricing and more. Before we jump into our reviews, a word about WPML (WordPress Multilingual) compatibility. Why does WPML compatibility matter? If you want to sell your products globally, WPML compatibility is a huge deal. The WPML WordPress plugin allows you to easily translate pages, posts, custom types, taxonomy, menus and more to multiple languages. WPML is widely considered the must-have multilingual plugin for WordPress. If you’re a global retailer and use WPML, you’ll need to know which extensions are compatible. We’ve organized our reviews into several categories to help you find exactly what you’re looking for. Simply click on a link below to jump to the type of plugin you need. Want a more efficient way to import Amazon products to your site? WooCommerce Amazon Affiliates by AA-Team, the top-selling WooCommerce plugin on CodeCanyon, gives you a built-in module to auto-import new items to your store from Amazon, based on your keywords. The beauty of this plugin is that it saves your site’s resources and doesn’t bog down your speed. Additional features include easy-to-use shortcodes, customizable styling, built-in reporting to help you keep track of referral sales, and more. A WooCommerce Amazon Affiliates license comes with 6 months of support and future updates. You can extend support to 12 months for an additional $14.25. 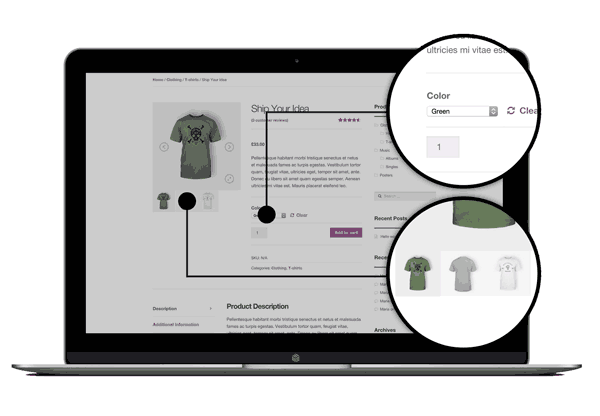 Do you need custom product options that you just can’t get from the WooCommerce plugin? 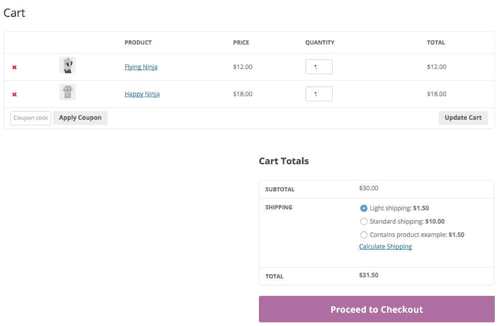 The WooCommerce Extra Product Options plugin by theme complete gives you the ability to build product pages that include conditional product variations, flexible pricing choices and other product page customizations. This plugin comes with pre-made fields, such as checkboxes, select boxes, text-areas, input boxes, date, range picker, color picker and more. The developer continues to add more fields and gives you an excellent DIY form fields builder. A WooCommerce Extra Product Options license comes with 6 months of support and future updates. You can extend support to 12 months for an additional $7.50. 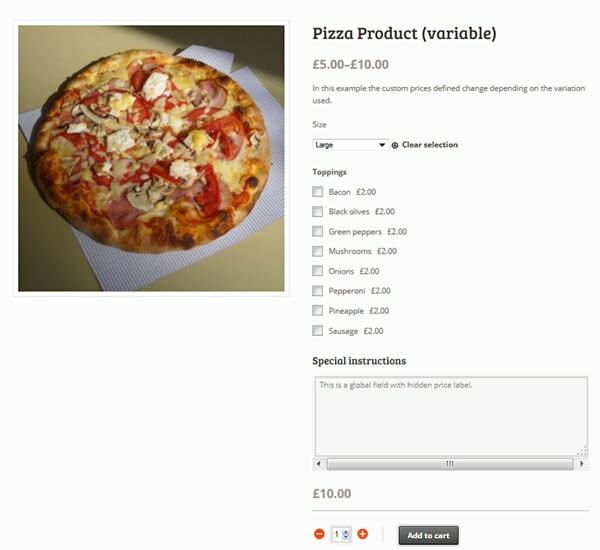 Are you looking for an easier way to set up pricing and discount variations for your customers? If so, the WooCommerce Dynamic Pricing & Discounts plugin by RightPress could be your best solution. This plugin gives you the power to add custom — and conditional — prices, incentives and discounts to motivate your customers to buy more. There are thousands of options you can configure, from discounts for bulk purchases and holiday promos to loyalty discounts and special offers for select customers. A WooCommerce Dynamic Pricing & Discounts license comes with 6 months of support and future updates. You can extend support to 12 months for an additional $13.13. 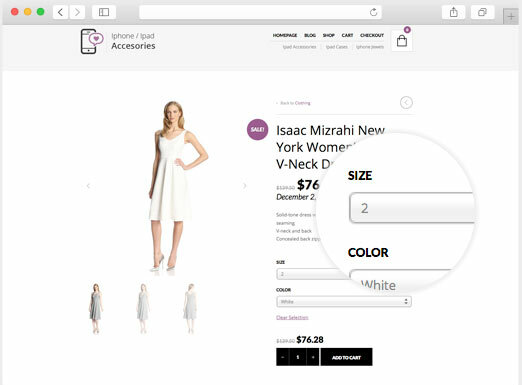 Want to give your customers easy filtering tools to find exactly what they’re looking for in your store? 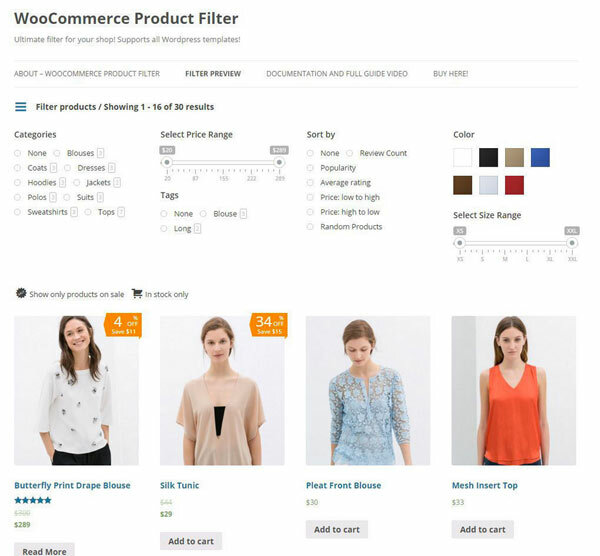 WooCommerce Product Filter by dzeriho is the most advanced product filtering plugin you’ll find for both you and your shoppers. Setup is quick and easy, and you can fully customize how your filters look and work — choose from unlimited layouts and display options, configure criteria and filter terms, and create filter presets. Filter criteria include price, ordering, categories, attributes, taxonomy filters, in stock filters, sale filters, ratings, range, meta key filters, search filters and more. This plugin also offers advanced features, such as adaptive filtering and smart filter analytics. A WooCommerce Product Filter license comes with 6 months of support and future updates. You can extend support to 12 months for an additional $11.63. Does your online WooCommerce store sell t-shirts, mugs, caps and similar products that your customers can customize? 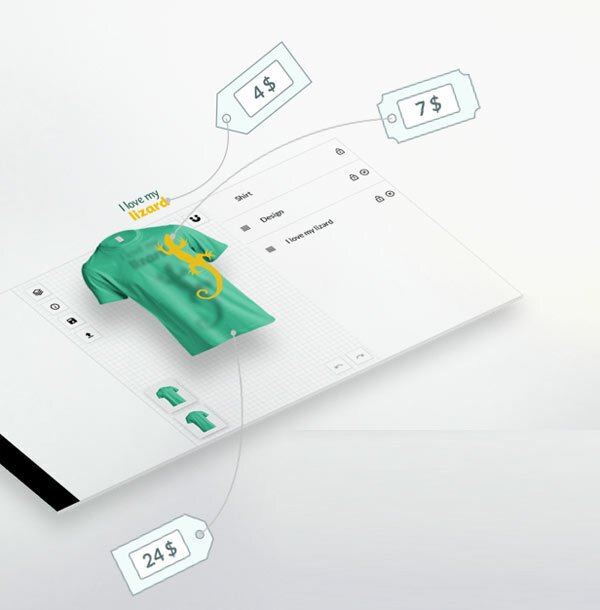 Fancy Product Designer by radykal is an excellent tool to help you give your shoppers the ability to design products with many variations for colors, fonts, image transformations, image positioning and more. This plugin also supports multiple media uploads, variable pricing, and the ability to configure which parts of each product can be customized. A Fancy Product Designer license comes with 6 months of support and future updates. You can extend support to 12 months for an additional $16.88. 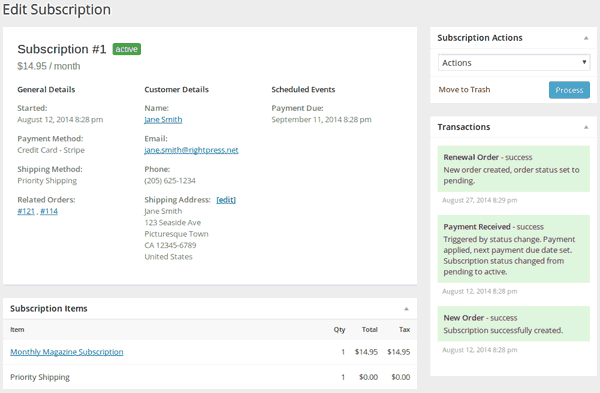 Subscriptio by RightPress adds recurring payment capability to your WooCommerce platform, allowing you to sell products, services and memberships on a subscription basis. You can configure both simple and variable products to subscriptions, and you have the options for setup fees, free trials, subscription lengths, expiration dates and more. Subscriptio also handles multiple subscriptions per customer with admin and customer management tools, as well as the ability to purchase subscription and non-subscription items in a single checkout. A Subscription license comes with 6 months of support and future updates. You can extend support to 12 months for an additional $16.88. Looking for an advanced tool to help you juggle complex shipping calculations? Table Rate Shipping by bolderelements is among the best — and it’s the top-selling WooCommerce shipping plugin on CodeCanyon. This plugin is one of the most flexible tools you’ll find if you need to set multiple shipping rates based on a variety of conditions, such as destination, weight, shipping class, the day of the week, price, cart subtotal and much more. Users rave about the quality of this plugin’s design, the natural user interface and top-notch support. WooCommerce Advanced Shipping by sormano is another conditional shipping rate tool similar to Table Rate Shipping (see review above). This plugin is another excellent option for complex rate calculations and is the second best-selling WooCommerce shipping plugin on CodeCanyon. You can set multiple shipping rates based on conditions, such as destination, weight, user role, stock status, shipping class and more. Advanced Shipping is also extremely user-friendly (no coding required!) and it a steal at only $17 for a single site license. A WooCommerce Advanced Shipping license comes with 6 months of support and future updates. You can extend support to 12 months for an additional $4.88. Do you need a quick and simple way to make edits to hundreds or thousands of products all at once? 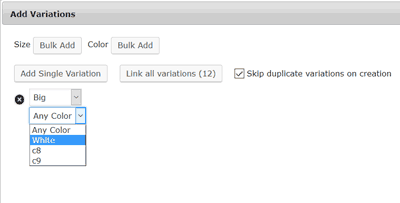 If so, WooCommerce Advanced Bulk Edit by georgeiron is a must-have plugin — it will save you hours upon hours of busy work. This plugin offers a ton of product-related fields that you can search, filter and edit. You can also create products and variations, make variations to multiple products at the same time, find custom meta fields from third-party plugins and much more. Users give Advanced Bulk Edit high ratings for design quality, support, an easy user interface and other features. A WooCommerce Advanced Bulk Edit license comes with 6 months of support and future updates. You can extend support to 12 months for an additional $7.13. Need more invoicing functionality than you get with the standard WooCommerce plugin? The WooCommerce PDF Invoice extension by RightPress fills in what’s missing to give you an easy, plug-and-play tool for efficient and professional PDF invoicing. This plugin automatically generates regular and proforma PDF invoices, lets you set up buyer and seller details, customize invoice designs and gives you excellent invoice management options. 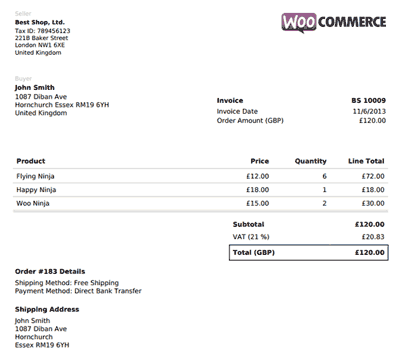 WooCommerce PDF Invoice beats what you can get with free plugins, hands down. A WooCommerce PDF Invoice license comes with 6 months of support and future updates. You can extend support to 12 months for an additional $13.13. As you may have guessed, WooChimp by RightPress is a plugin integration for MailChimp, the hugely popular email marketing service provider. 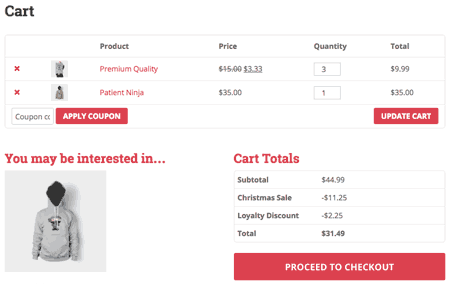 If you want your customers coming back for more, this plugin makes it easy for you to automatically add subscribers when your customers sign up at checkout (or you can give your shoppers the option to subscribe). That’s just the beginning of what this plugin offers. 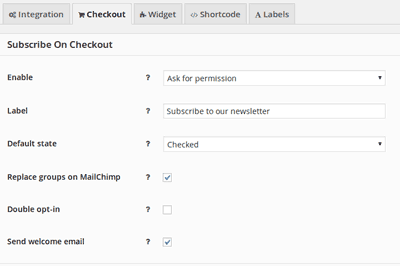 WooChimp gives your WP WooCommerce store full integration with all of MailChimp’s features, including multiple mailing lists, subscriber groups, merge tags and webhooks, campaign targeting and advanced reporting. If you’re not a MailChimp user but are interested in learning more, read our in-depth MailChimp review. A WooChimp license comes with 6 months of support and future updates. You can extend support to 12 months for an additional $13.13. 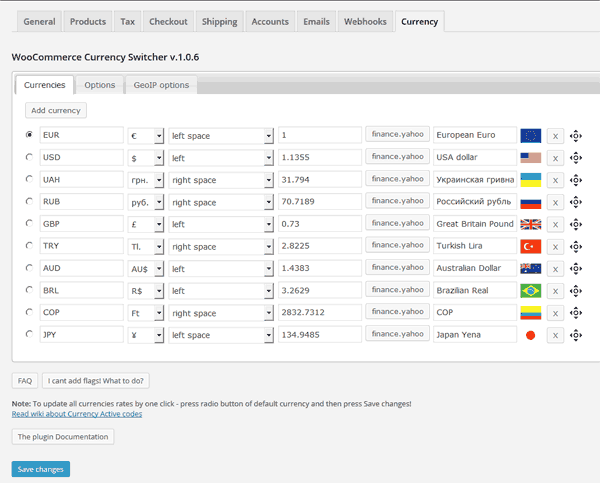 WooCommerce Currency Switcher by realmag777 is a must-have extension for online stores that sell products globally. All customers have to do is switch the currency from American dollars to see prices in their country’s currency. On the admin side, this plugin is easy to set up thanks to the provided shortcode and widget. You can use currency aggregators to get rates converted by either Yahoo, Google, Appspot Aggregators or just by hand. You can present the currency switcher on the front end in 5 different ways: ddslick, chosen, wSelect, simple drop-down, or flags. A WooCommerce Currency Switcher license comes with 6 months of support and future updates. You can extend support to 12 months for an additional $9.38. Do you want to give your customers the best picture possible of your products? Image options can be a game changer for closing a sale on items like apparel, home accessories and furniture, and other items that need a closer look. The WooThumbs premium plugin by iconicwp gives you the ability to add a variety of beautiful product images to your store, including image carousels, inner, outer and follow zoom, as well as unlimited product variation images. This plugin also includes full-screen galleries, image fade, layouts, and design customization options for navigation. A WooThumbs license comes with 6 months of support and future updates. You can extend support to 12 months for an additional $16.88. The WooSwatches plugin by WooMatrix gives you a quick and easy way to setup and manage several swatch types on your product pages. The simple admin user interface allows you to convert your default variable attribute dropdown to clean and polished color, image and text swatches. You can also customize your swatches by shape and size and set swatches to change the image when your customer hovers over them. A WooSwatches license comes with 6 months of support and future updates. You can extend support to 12 months for an additional $5.25. 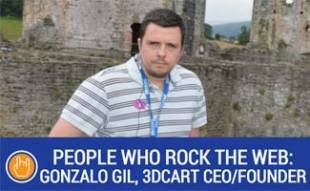 Check out the video below for some quick tips and tricks to boost your online store and sales. Looking For Other Tools To Enhance Your Site? If you want to enhance your WordPress site, we have you covered. Be sure to read our overview of the best WordPress plugins, where you can find links to our reviews of multiple WP extensions based on your specific needs. We cover everything from menus and forms to social media and multiple WP site management. 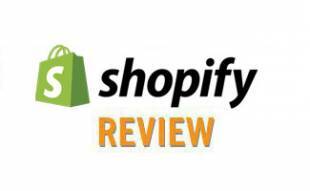 If you’re looking for one of the best themes for your site, be sure to check out our best WordPress themes reviews, which includes a review of Gifts Shop, one of the most popular and powerful WooCommerce themes. 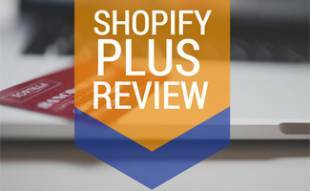 What other WooCommerce extensions would you recommend and why? I’m looking to add an EComm component to my WordPress site and am somewhat familiar with WooCommerece but didn’t realize they had so many plug ins that I can integrate into my existing site which is great. Thanks for the useful article!